William Cooper Parke was Marshal of the Kingdom of Hawaii for thirty-four years, during which period he served under five kings. He was a member of the king’s privy council under Kamehameha V, and beloved friend and helper of the Hawaiian people. For decades William C. Parke was one of the most notable figures in the islands. called upon to outfit at Boston, where he was in business as a commission and shipping merchant. Upon his return to the islands in 1850 he was commissioned as Marshal of the Kingdom on June 1, by Kamehameha III, and this position he held until asked to resign for political reasons by King Kalakaua in 1884. Responsible for the maintenance of public order throughout the Kingdom, Mr. Parke organized a fine police system and administered this arm of the government efficiently. Perhaps his greatest contribution to Hawaii was his work during the great smallpox epidemic of 1853. The entire kingdom was stricken, and one-third of the population died. With his characteristic tireless energy and love for mankind, Mr. Parke threw himself wholeheartedly into the task of aiding the suffering thousands, and organized relief parties who took charge of the entire situation. One exciting incident in the life of the former marshal occurred on the day of the election of King Kalakaua as ruler of the islands. The populace was divided into rival factions, and one group of malcontents descended upon Marshal Parke’s office, where he had hidden the late Samuel G. Wilder and the late A. S. Cleghorn, prominent members of the legislature. Marshal Parke defied the intruders, and his two friends were saved. He was a true and trusted friend of the native Hawaiians, and scarcely another man of his time had such a large share of the people’s affection and confidence. They came to him whenever in trouble or in need of advice, and frequently a line of people would be at his door in the morning awaiting his counsel. One of the original founders of Lihue plantation, on the island of Kauai, Mr. Parke left large sugar interests upon his death. He was decorated with the Order of Kamehameha I by King Kalakaua, and was a 33 degree Freemason in the Scottish Rite Valley of Honolulu. 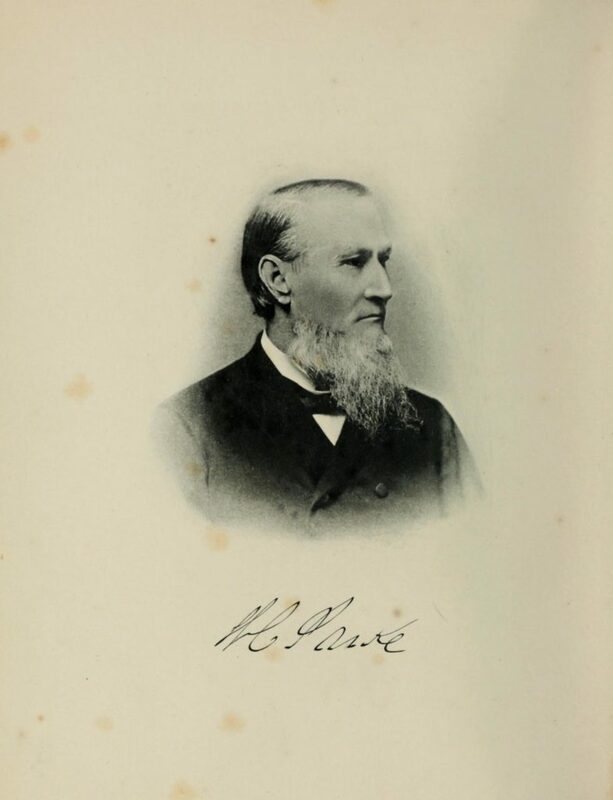 Parke served as the first Commander of the Council of Kadosh in 1875, a year following the Scottish Rite’s founding in Hawaii by King Kalakaua and John Owen Dominis.